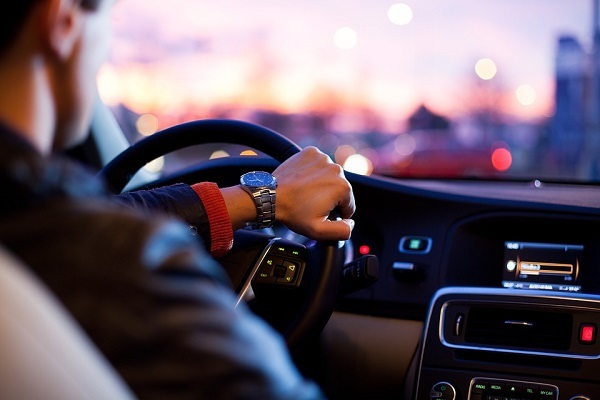 Tech within a car could be collected (or even hacked) and used in court by utilizing audio forensic services to process, evaluate, or enhance the evidence. One may not think it, but modern cars have found a practical, albeit unexpected, use within the field of audio forensic services. There are numerous technologies powering the telematic and infotainment services of automobiles. Technologies like on-board vehicle electronics, global positioning system (GPS) satellite communications, short-range and wide-range wireless telecommunications systems, data analytics, cloud computing and the internet are just few of the technologies that are combined using permutations and combinations to empower the ultra automatic automobiles that we use today. Some of these communication devices, such as GM’s “OnStar”, even have the potential of being accessed by the government. What’s more, every movement and location the vehicle makes could be tracked and catalogued by the government. In this post we will discuss the various components and technological elements that are used to power the telematic and entertainment modes of our cars. In turn this will help us better understand the privacy implications of connected cars and the sources from where we can gather important data and evidence for audio forensic services, and how this evidence may be used in court. First we’ll explore some of the technology behind vehicle telematic systems, then we’ll discuss how these components could potentially be used in court, could be used against the vehicle operator, or could be utilized by audio forensic services. There are many components in a car that use modern computing power. Sensors are used to measure various activities and components within the vehicle. The computer within each modern vehicle, therefore, processes many million lines of code in order to make the vehicle operate exactly as the car makers wanted. The communication network that allows these sensors and components to function together is referred to as a bus, which controls functions such as engine temperature, engine RPM, throttle position, vehicle speed and orientation, distance travelled, fuel levels and consumption, door open/close, tire pressure, ignition, headlights/tail-lights, battery status, cumulative idling, odometer, trip distance, braking activity, and much more. The data these sensors compile is available directly to the car makers via the OBD port. Utilizing wireless connectivity, this data can be transferred to servers where it can be further processed and used. It is possible, therefore, that a car’s functions can be accessed (or hacked) by an outside entity which can then compile the data or even hijack some of the vehicle’s functions. Telematics Control Units (TCU’s) use GPS receivers and wireless interface modules that allow two way communication outside the vehicle. They control functions such as remote vehicle diagnostics, remote operations like start, stop, door lock, door unlock and alerts, automatic crash notifications, emergency calling, vehicle locating and monitoring and geo-fencing. Cars like the new Hyundai Elantra can even be started via a voice command to smartphone or smartwatch. This means, however, there is the potential for an outside entity, such as the government or hackers, to access this function without the owners knowledge or control. Telematics Operations Centre is network hub that communicates with Telematics Control Units and other information sources and delivers telematic services back to the vehicle, the end user or the application provider. It performs various functions such as network security, fault management, configuration and customer relationship management. The call center provides voice assistance to vehicle occupants in real time. Customer service representatives can access customer and vehicle information from the Telematics Operations Centre. An example of this would be GM’s OnStar, which is a service that utilizes microphones installed within the vehicle. The government, therefore, could activate the microphones without the knowledge or consent of the vehicle’s owner or operator and secretly record conversations. These recorded conversations could then be used as evidence in a case. If necessary, they could be enhanced using audio forensic services for use in court. Most technology manufacturing companies use third party sources such as Pandora and Spotify to provide content or entertainment services. Such entertainment services use the Telematics Operations Center to reach the dashboard. Aftermarket systems use devices generally attached to OBD-II port rather than using units built inside the vehicle dashboard to connect to the internet. They rely on mobile devices or a separate interface that is mounted on the dashboard. Various wireless technologies such as Personal Area Network systems using Bluetooth or Wireless USB devices, Dedicated Short Range Communication and Cellular communications are used to convert cars into moving internet hotspots. They are used to link products such as Mojio, Dash, public safety-related Intelligent Transportation Systems, Operations Centre and internet streamed radio and video applications. Because such devices connect to the internet, they also have the potential to be accessed or hacked by a third party such as the government. Once hacked, the government may be able to gain access to the vehicle operator’s phone and phone history, driving history, internet usage, etc. With an ever-growing amount of vehicles on road, large quantities of data is being created by all these vehicle’s computers and components. Cloud computing is used to store these large amounts of data and provide sophisticated processing abilities. The cloud also stores the various apps we use in our cars. Using data analytics, meaningful patterns and conclusions are drawn, which are further analyzed from the vast data base collected. Intelligent Transportation Systems use a lot of representative data coming in from various sources such as vehicles, roadside infrastructure, pedestrians, cyclists or other physical things on the roadway, connected through wireless communication. Mobile sensors like GPS, radar, laser, video, lights, thermals and fixed sensors like traffic counters, cameras and weather instruments are used together with Dedicated Short Range Wireless Communication. All this data is processed and made available in real time to the parties or components that need it (such as traffic regulating processes). The Hyundai Elantra mentioned above is a very high-tech and sophisticated piece of technology. It represents that cars are no longer simply to get us from Point a to Point B. Cars are now complex computers processing millions of pieces of information every minute they are on the road. Many of these processes are vulnerable, however. They can often be hacked or simply accessed by the government, the manufacturer, or by someone else who may have nefarious intentions. Although some of the data is harmless and benign, it is concerning to imagine that the government could access a car’s microphone and listen in to a private conversation (not unlike what they can do with smartphones). If they record this data or these conversations, however, this audio evidence could then be used in court. Once the evidence has been collected, it may be invaluable to audio forensic services to process, evaluate, or enhance the evidence so that it may be used effectively in your case.